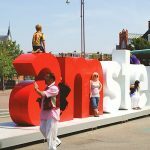 I amsterdam is the city's and its residents' collective catch phrase. Located at the back of the Rijksmuseum on Museumplein. 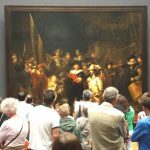 The Rijksmuseum displays the world-famous highlights from the Dutch Golden Age, including Rembrandt van Rijn’s Night Watch. From City Gate to Weigh House. 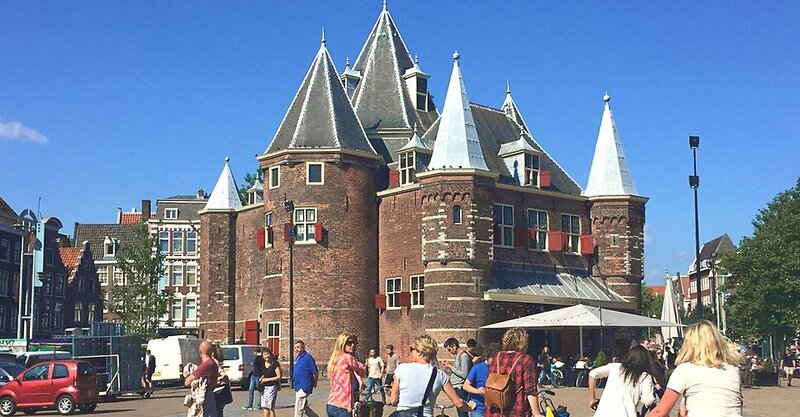 The weigh house, built in 1488, was one of Amsterdam’s city gates. Now a restaurant. 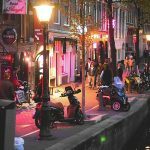 As early as the 15th century, prostitutes earned a living in the harbor of Amsterdam. 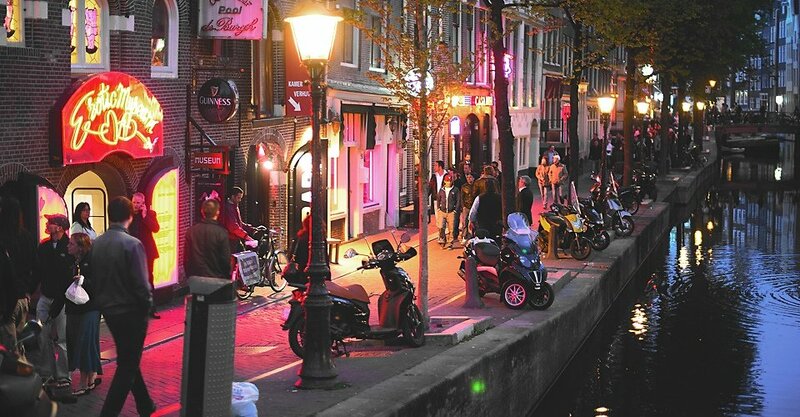 The Red Light District is the oldest part of the city. Occasionaly the canals freeze. 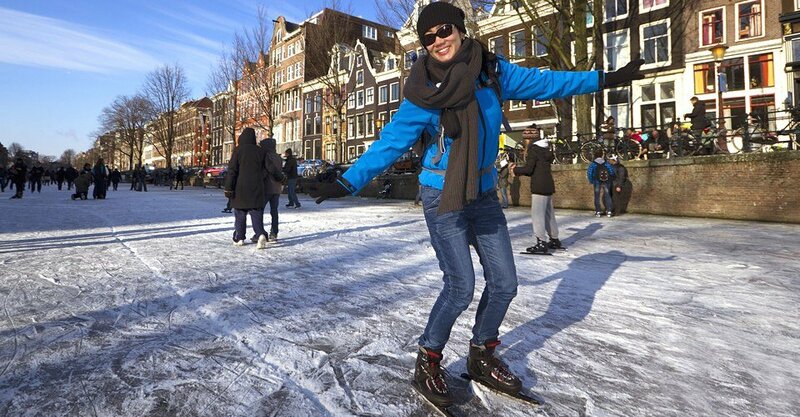 When they do try Dutch ice-skating with afterwards a cup of hot cocoa or a mug of thick Dutch pea soup. 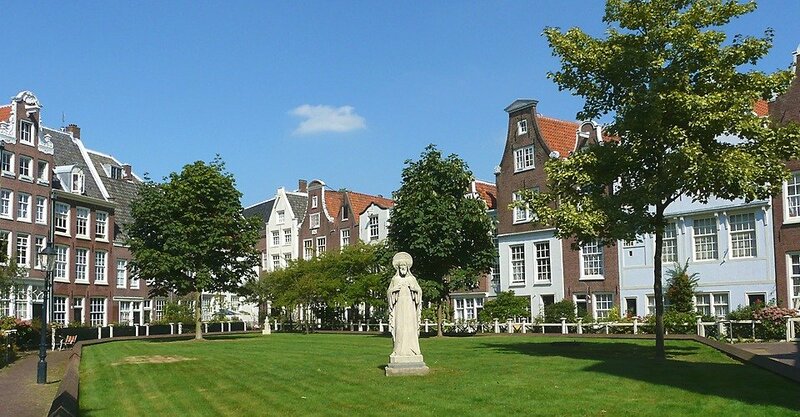 The Beguinage is a hidden secret of Amsterdam. A medieval inner courtyard where the women of the Catholic sisterhood lived. 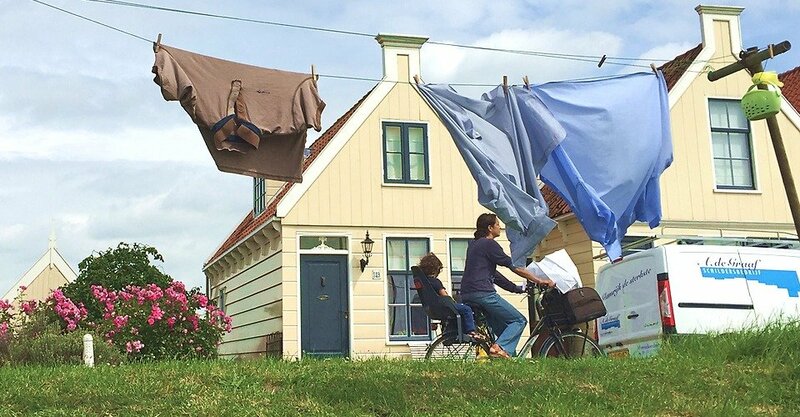 Escape the hustle and bustle of Amsterdam. Rent a bicycle and in a few minutes ride through farm land and fishing villages. 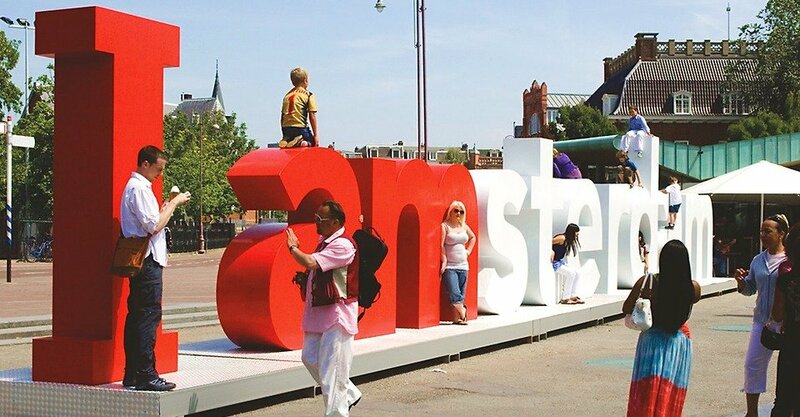 Amsterdam is the the world-famous 17th century capital of Holland. Known for its artistic heritage, elaborate canal system and narrow houses with gabled facades, legacies of the city’s 17th-century Golden Age. Enjoy the historic buildings, beautiful museums and pleasant ambiance. 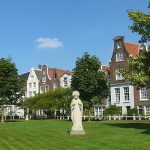 At the heart of the city you find Dam Square and the Red Light District with the hidden secrets of ‘Lord in the Attic’ and the ‘Beguinage’. 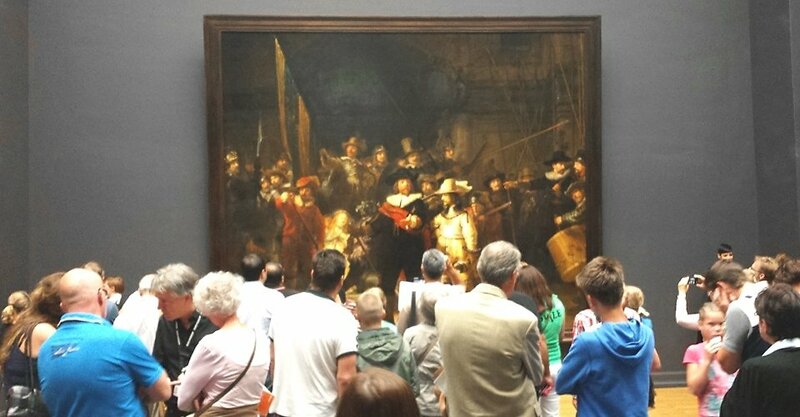 Its Museum District houses the Van Gogh Museum, works by Rembrandt and Vermeer at the Rijksmuseum. 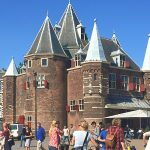 Learn about WWII in the Jewish Quarter and Anne Frank house. Stroll along the canals with the houseboats and flamboyant canal houses or cruise around by boat. 2Tell us the number of people in your party. 5A full or 20% Deposit payment confirmes our services. 6Within a few minutes you receive confirmation by email. 7A local expert will contact you to design a customized itinerary. 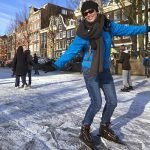 We had a great experience exploring Amsterdam and its surroundings. Our guide Stefka perfectly fit the tour to our needs and made sure we all had a wonderful time from my 80 year old parents to my inquisitive 13 year old son. With my 16 year old in a wheelchair travel is always more challenging, but Stefka took care of all the special arrangements he requires and made this vacation memorable for all of us. 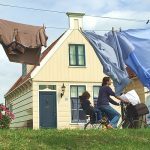 I can highly recommend her to anyone who seeks a deeper understanding of the Netherlands and its people. We had a wonderful day with Stefka. She was very personal and flexible. 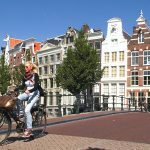 We had asked to be shown places in Amsterdam that she usually does not cover, but she read up on these places and was very informative. She was able to fit in everything we wanted to see in a very relaxing and enjoyable day.